Did I choose the wrong size bike? I don't know much about bicycles, and I have relatively little experience with them. I bike for fun, or to get around the city, not for sport. 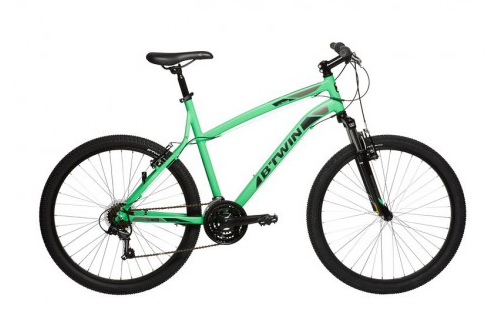 Recently I bought a BTWIN Rockrider 340 mountain bike, in size M. My height is 168 cm. After going out for a ~35 km ride, I found it somewhat uncomfortable and I got a back ache. The handlebar seems too low. It's much more comfortable and relaxing to just touch it with my fingertips instead of holding it properly, as I don't have to bend down that much. How can I tell whether I got the wrong size bike for my height or whether I simply did not use the correct posture? In the country where I am currently, exchanging the bike after such a ride is probably not possible, or very difficult, so it is really a last resort to try. While I did try the bike before buying, the store was in the city, on a high floor of a multi-story shopping centre, so there was very limited space and I didn't realize the problem. While people on this site might not think much of this bike, for me it was a fairly pricey one, mostly having had second hand bikes before. Therefore I would really like to make sure that I did not get the wrong size, or otherwise correct the problem somehow. I got this bike for getting out of the city and going to places inaccessible by public transport, mostly rocky dirt roads. People tend to think of fit as something for which there is a single solution, i.e., a particular combination of frame size, seatpost height, stem length, and so forth, all of which will create the optimal size bike for them. In reality, it isn't that straightforward; proper fit can be achieved within a range of values. For example, I have a few different bikes which I ride. One is a road bike with a 58 cm frame (flat top tube), one is a more modern road bike with 53 cm frame (sloping top tube), and so forth. How is it that I can ride a collective 16,000 km on these different-sized bikes and be comfortable? Because I have adjusted the combination of frame size, seatpost height, and stem length within a range that works for me. You can achieve the same; it's not difficult. You may wish to consider this fit calculator to help you figure out what the ballpark range of values is for your body. You'll need someone to help you, but the numbers it gives you will be a decent starting point as you fine tune the fit of your bike. 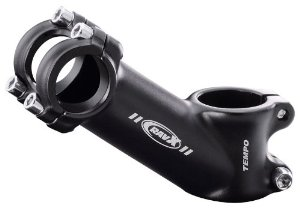 You can use them to do an informed adjustment (if necessary) of your seatpost height/length and likewise your stem. 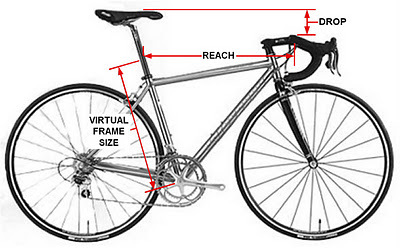 Assuming that the people at the bike shop sold you the proper size frame, you may need to increase your fitness a bit, and then be sure the reach is appropriate, and the seatpost height. In other words, you may need to ride the bike a bit to get a better idea of what the real root of the problem is. 35 km may not seem like a long way, but for a lot of people it takes them some time to get comfortable going that kind of distance: time to strengthen their core, their legs, and everything else that can ache at first. After some saddle time, I think you will have a much clearer idea of what needs to be adjusted. It's likely you can fix this by making the handlebars higher and possibly moving them back towards you. That means a new stem, which is probably something you can fit yourself. This is the part I'm talking about (photo from the manufacturer website). If you have a 5mm allen key you can remove that stem by undoing all four bolts you can see here, plus the vertical bolt hidden under the small cap on the steerer tube (part of the front fork). There are no doubt youtube videos showing how to do this. The main thins is that this is what holds the front fork onto the bike, so if you reassemble it wrong you could make the bike unsafe to ride. Online bike shops like ChainReaction will give you an idea of what is available (maybe this? ), and you can then decide what you can afford to buy based on where you are. A medium frame should be large enough. Take some time to try to get used to riding it. Lower handlebars require more core strength, but are more aerodynamic and therefore faster and cooler. If it remains uncomfortable, either flipping the stem to slope up or buying a steeper stem or riser handlebars will move the handlebars up. Moving the saddle backwards or forwards and also perfecting the saddle's slope can also have a great effect on comfort. I'd try adjusting the seat first since that is usually easier than messing with the handlebars. Seat height was mentioned above but there is also tilt angle (pitch if you will) and a small range of forward / backward adjustment relative to the seatpost (the rails can slide within the clamps). In your case it sounds like shifting the seat forward and/or tilting the front down may help. That is your size. I don't thing there is nothing wrong with that. How new are you in biking? 35 km is not a small distance for some one new. What kind of bikes did you ride before? Maybe you are just not used to that type of bike. Regards to not feeling comfortable. That is geometry of a mountain bike with the seat being higher that the handlebar (or at the same level) and a handlebar being straight. That is totally normal and I would not advice to try to change bikes geometry with extra parts. Each kind of bike have its correct riding position. Comfort city bikes allow you to drive with a straight back, mountain bikes require one more forward position and in a road bike you have to lay all way forward. Not the answer you're looking for? 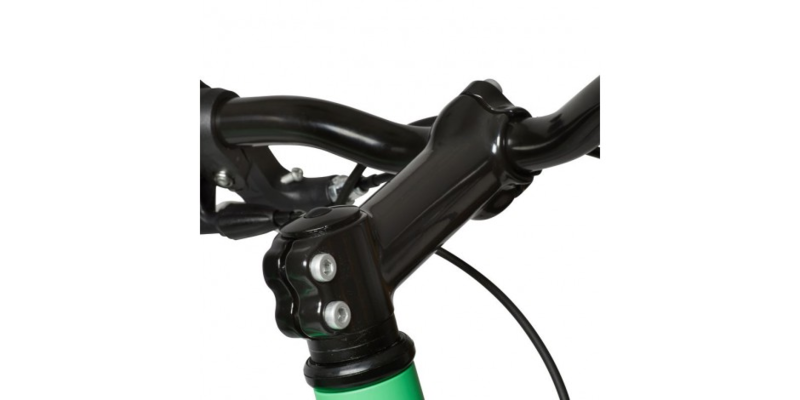 Browse other questions tagged mountain-bike ergonomics pain beginner or ask your own question. “Proper” cycling posture on a road bike with drop bars? What do you think about the B-Twin bicycles? Is it better to buy a new B-Twin or an used bike by a more famous brand? Using 57-559 (26x2.25) tire instead of 54-559 (26x2.1) on a mountain bike?